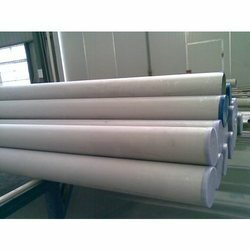 We are Importer & Exporter of a wide range of products which include Cold Drawn Tubes such as Cold Drawn Seamless Tubes and Cold Drawn Stainless Steel Tubes. The offered product are composed superior grade raw material and are sourced from certified vendors of the market. With our expertise in this domain, we are able to offer our clients, a superior quality range of Cold Drawn Stainless Steel Tubes. A team of experienced professionals has designed this product by keeping in mind the specifications and requirements of our customers. Moreover, the offered product is tested on different parameters as per the requirement of the client. Looking for Cold Drawn Tubes ?